TOP TIPS: POINTS NOT TO MISS WHEN STARTING OUT . As we see the high street continuing to struggle with reported sales waining and big names coming under scrutiny, the retail landscape is looking challenging. However, amidst what appears to be a gloomy outlook for brick and mortar retailers, the rise of independent brands and online retailers are clearly having a moment. However, starting a successful fashion brand isn’t as easy as some people might think. In this post, i’ll touch on some points overlooked by fashion entrepreneurs starting out and some tips on how to overcome and plan these into your business plan. Owning your own fashion brand looks and sounds glamorous. The excitement of designing your own range and the prestige that goes with it looks incredibly enticing. Sadly the reality of running a fashion brand is often quite different from the perception and it’s not as simple as design —> make —> sell. Over the last 12 months I lost count of how many times I’ve had the same conversation with people wanting to start a fashion brand and I hate to see the look of despair at the realisation of what a big feat starting a fashion brand is. There are so many factors that hadn't even been considered. But fear not, here are a few pointers to consider that you may have overlooked. One of the most important factors when starting a brand is who you going to sell your product to. I’ve spoken to a lot of people who often say “anyone can wear my product” and whilst it’s great to have a product that is diverse, versatile and inclusive, you still need to set some parameters. If you haven’t identified your customer, it can be difficult to pinpoint your product direction, brand look and feel and tone of voice etc. You also need to know that you are behaving in the right manner to suit your customer. Are you trying to be experts in your field and show an authority or are you trying to be casual and create a ‘family’ feel - the way you present your product through styling and the language you use to engage your customer etc can be completely different in these instances so you need to ensure you know who your customer is to understand what they want in order for you to communicate with them successfully. Once you have identified these elements, you will know where you need to position yourself to be seen and heard, make sure you’re operating on the same platforms and engaging in the same content. 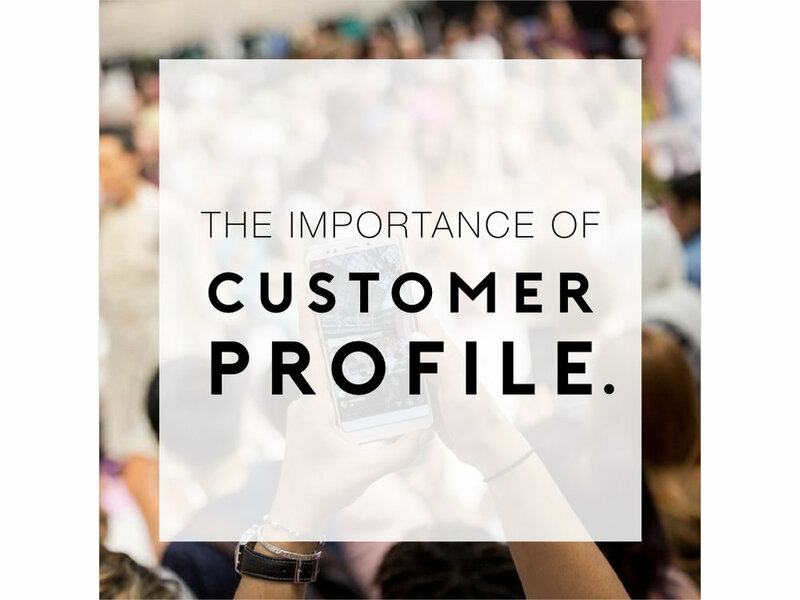 You can read some tips on identifying your customer and customer profiling here. Where do you see your brand sitting in the market and is there a market for your product? Where your brand sits in the market is really important to identify. This can be driven by many factors such as price point, is it high end luxury, or lower price point fast fashion? You need to consider who you will be surrounded by and who are your competitors as this will also impact where your brand sits in the market. Even if you have a unique, never seen before idea, you need to do your research to ensure there is a market there for your product, will people want to buy it? Alternatively, you might have a brand idea that is similar to existing brands already out there, that’s ok, but you need a point of difference, what’s your USP? If you’re moving into an existing market, be mindful that you need to offer something different to entice customers away from competitors and give them a reason to shop with you. One thing that is really important when starting a fashion business is to take your time. So many people don’t factor in enough time for development and rush to market with a product that isn’t quite right and needs tweaking the following season. This can be such a waste money and precious resources. When starting from scratch, it can take 2 or even 3 samples to get right before you can sign off for production, so be sure to ask your supplier what their sampling lead times are as well as bulk lead times. If you need to order a range of photo samples or SMS (salesman samples - samples that you can approach retailers with or attend trade shows with to sell your range ahead of production) you need to factor in time to dye up fabric (if you are using a unique Pantone colour) and order trims (things like zips, buttons, snaps etc can take time to order in from a supplier). *As a side note, I always like to remind clients to manage their expectations when they receive their first proto samples. Often proto samples are made in available fabric and colours with available trims so can sometimes look a bit miss matched. The objective here is to establish fit and construction and that the design works. Details might be amended such as pocket sizes, placements etc and this can be rectified in a second sample. Ask your supplier upfront what their bulk lead times are and ensure you factor this into your critical path. Also allow time for shipping and processing once it arrives. Depending on where your supply base is can have a huge impact on lead times - for example when manufacturing in China, you need to allow approximately 90 days for production, plus shipping, whereas if you are manufacturing in Europe, lead times and shipping times are often shorter. However, you need to pick the right supplier for your product and business model. Don’t just go with the fastest option! It’s no secret that starting a fashion brand is a hugely costly endeavour, but you still need to be mindful of where these costs are adding up and what you can expect to pay for. It’s always prudent to ask suppliers upfront what their process is with the costing of sampling. Most suppliers work differently and terms can change as you build a relationship and grow trust. If you place a bulk order, it’s common for the factory to ask for a deposit of anything up to 30-50% upfront with full payment before shipment. Once you have proved to be a trustworthy customer and build a relationship with the supplier, these terms are often relaxed. Pricing of your product can be tricky and it’s a fine balancing act between cost price, sell price and margin. Basically, your cost price will determine your sell price, so finding the right manufacturer is really important. If you want to start a line of ladies dresses that retail at price points similar to Topshop, you need to consider that retailers like Topshop have the ability to place large volume quantities which will drive the cost price down. If you are looking for smaller quantities, you need to bear in mind your cost price is going to be higher, and therefore your sell price will need to be higher to make your margin. 5 WORKING WITH THE RIGHT PEOPLE . Working with the right people can be the make or break of a new brand. This can be either a designer or supplier or even someone with marketing or financial experience. Although budgets can be tight, be mindful of where you spend your money. Designing a range of products can be complex and communicating those ideas with a factory is even more difficult. Consider that there is often a language barrier and an idea in your mind, although to you is crystal clear, may not be to someone seeing or hearing it for the first time. Consider working with a designer who has the skills and knowledge to articulate your ideas to the factory through tech packs and spec sheets. I’ve written a blog post on how to run a successful fashion business without any fashion training here which has some useful tips. Newer PostTHE STATE OF FASHION 2019 REPORT: TOP TAKEOUTS YOU SHOULD KNOW . Older PostBLACK FRIDAY: LOVE IT OR HATE IT .